Available with us is a wide range of Wiring Harness that finds multifaceted application in different areas. We fabricate our range of products using superior quality raw material procured from certified market vendors. We manufacture our products as per the international quality standards and also offer customized products to meet the individual requirements of our esteemed clients. We are engaged in manufacturing, supplying and exporting of wire harness for automobile lights. Due to its durability, optimum quality & high temperature resistance, this product finds application in automobile industry. 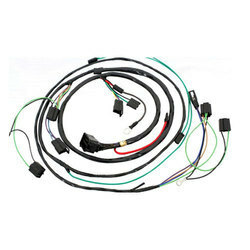 The superior range of wiring harness we offer are essential part of 2, 3 and 4 wheelers. These wiring harness are also used in electrical appliances. We are presently manufacturing and supplying wire harness in normal and FRNS grade to a large number of OEM's throughout India. Extensively used for the purpose of connecting wires, these are fabricated using high quality raw material and are developed by latest manufacturing equipments. Reliability, splendid quality, long functional life are the striking attributes of these harnesses. The Sumitomo Electric Group operates its wiring harness business globally to offer various products that meet the needs of the times with superb technologies and quality. 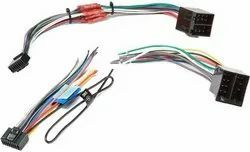 The product lineup includes wiring harnesses for transmitting electric power and information in vehicles and products for environmentally friendly HEVs and EVs. Jotwire India Pvt Ltd manufactures Wire Harness, Cable Harness and Electric Centre with focus on Mining Machines, Construction Machines, Buses, Trucks and Material Handling Machines. Jotwire India is located in IMT Manesar, Gurgaon, Haryana. Jotwire India Pvt Ltd is part of the Ouneva Group. Napino is amongst the largest manufactures of wiring harnesses in India. A well equipped design and manufacturing facility combined with strong engineering capability ensures production of world-class products.